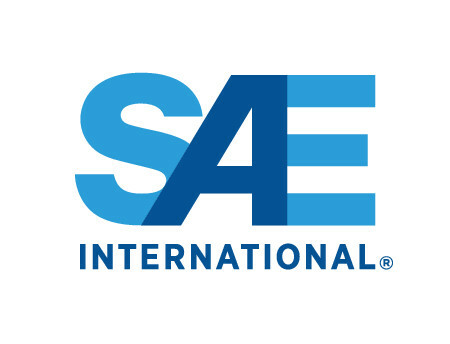 SAE International approved for publishing “SAE TIR J2954 Wireless Power Transfer for Light-Duty Plug-In/ Electric Vehicles and Alignment Methodology,” a milestone industry guideline to establish wireless power transfer between infrastructure, vehicle suppliers and OEMs for plug-in electric and electric vehicles (PH/EV). The document will be available from the SAE website on May 31st. 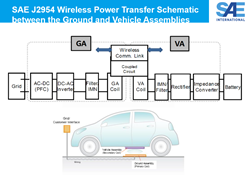 SAE TIR J2954 is the first step in standardization and was developed by SAE International’s PH/EV Wireless Power Transfer committee, established in 2010. 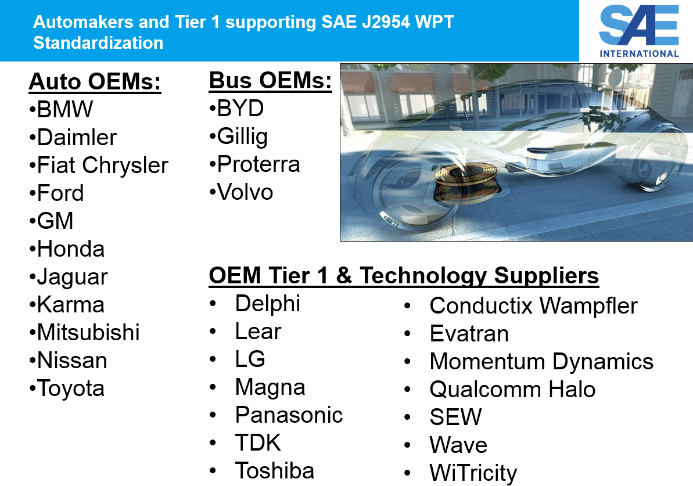 Jesse Schneider serves as the Chair of SAE International’s Wireless Power Transfer committee and is the Fuel Cell, Electric Vehicle and Standards Development Manager at BMW North America. He presented the SAE TIR J2954 today during the Conference for Electric Roads and Vehicles (CERV) in Logan, Utah.